If you’ve landed here, then it’s likely your head is already in the right place when it comes to snow and winter driving. This subject deserves some research and preparation. Nevertheless, before getting into winter driving tips and techniques, let’s touch on some details to underscore your winter driving concerns, and make sure your vehicle is properly equipped to handle winter conditions. Inclement winter weather and treacherous roads are the annual norm for millions of Americans across the northern latitudes, but make no mistake, winter roads are an extreme, unordinary driving environment. 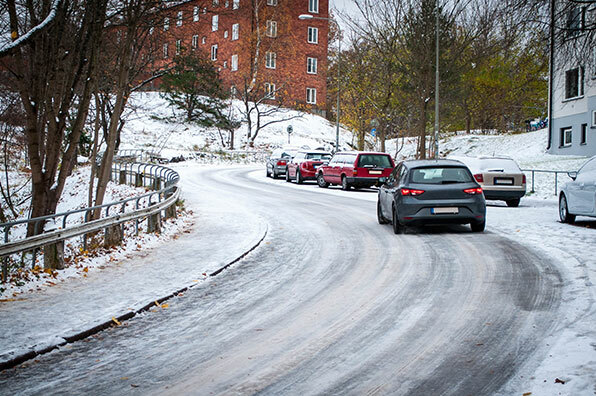 Over 100,000 people are injured on snow-, ice-, and slush-covered roads every year. An estimated 390,000 injuries occur each year due to texting while driving. And so before we dig any deeper into winter driving, it should be clear that proper tires are a must. No driver, no vehicle, no amount of caution and driving skill can overcome the winter traction deficiency experienced with some tires (yes, even some all season tires) in severe weather. You’ll never see off-road vehicles competing in desert endurance races with standard road tires. When rain falls during a SportsCar, Indycar, or Formula One race, the cars come in for a switch from racing slicks to wet weather/rain tires. Challenging winter roads require a similar approach in tire methodology if proper performance in the conditions is the goal. One more thing on tires and winter driving – tire tread depth is especially critical during winter due to standing icy precipitation on roadways. One more thing on tires and winter driving – tire tread depth is especially critical during winter due to standing icy precipitation on roadways. Low tread tires will have a difficult time establishing and maintaining traction in such conditions. Check to be sure that your tires have sufficient tread depth for winter driving. 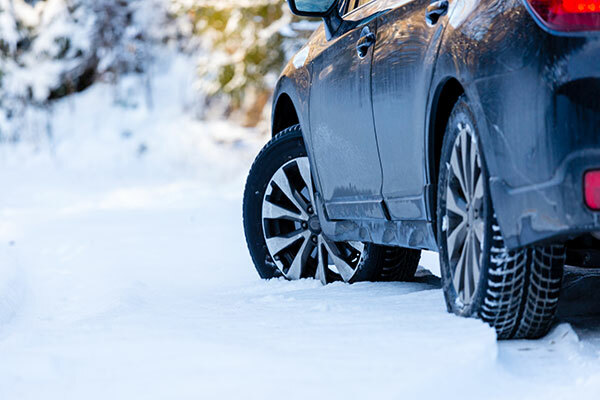 With your car properly equipped with condition-appropriate tires and plenty of tread depth, there’s lots that you can do from behind the wheel to be a successful winter driver. Driving in winter weather requires more engagement and activity from behind the wheel. In snow and slippery conditions, continuous steering adjustments and counter-steering is common. When seated in the driver’s seat (with your back against the seatback), extend your arms and put both wrists at the very top of your steering wheel. You should be able to do so while maintaining a slight bend at the elbows. If your arms are completely straight with your wrists resting at the top of the steering wheel, or you can’t get your wrists there without lifting your upper back off of the seatback, then you’re too far from the steering wheel for proper interaction and control. Once the seat and steering column are adjusted, the proper hand position on the steering wheel is “9 o’clock” and “3 o’clock” (not 10 and 12 like we were once told). Many modern steering wheels have slight bulges above the 9 and 3 positions to indicate proper hand placement. Road conditions are likely to vary and change during wintertime more so than any other season. Dry roads can become iced roads without notice. Expect changing conditions, and seek out the best “driving line” within your lane. Sometimes a lateral shift of 6" can mean the difference between contact with asphalt and much more dangerous slick conditions. Know of an empty parking lot nearby, or other wide open venue to practice some wintertime car control? Every car handles differently, and you can’t know how to recover from a slide or loss of traction on the road unless you’ve experienced it before. Parents in northern states have taken their young drivers out for safe winter driving practice for generations. It might seem like hooliganism, but there’s a lot of wisdom in that activity. Of course, speeds must be reduced on slick winter roads. Even the very best winter tires can’t overcome the physics of a multi-ton vehicle travelling too quickly for the road conditions. If you’re clear of cars behind, get a feel for the road conditions with an occasional application of the brakes, and adjust speed accordingly. A general rule is 2-4 car lengths, but in particularly slippery road conditions the gap should be stretched even further. That’s where most of the bad things happen. Plan way ahead of your turns and corners, and begin your braking and deceleration process long before you actually turn the wheel. Gently lift off the brake as you approach your turn. Make smooth, controlled steering inputs around corners. Speaking of smooth, the same goes for your treatment of the gas and brake. Smooth, measured inputs will help the car stay balanced and tracking in the intended direction. Hard or careless applications of either the gas or brake are likely to unsettle the balance of the car, which especially in slick conditions can result in a slide and loss of control. Anti-Lock Brake Systems (ABS) do the “pumping” action for you. Even when you smash the brake pedal, the ABS keeps the wheels turning at a favorable rate, which both more effectively slows the car and allows for some continued turning/maneuverability. Pumping the brakes on an ABS system works against its function. Oversteer is defined as a loss of traction at the rear wheels causing the rear of the car to slide. If not counteracted, oversteer can result in a complete spinout. If you experience oversteer, turn into (“catch”) the slide and get back on the accelerator to create a weight transfer to the rear axle of the vehicle and stop it from sliding. Understeer is defined as a loss of traction at the front wheels causing the car to fail to turn in the desired direction. This occurs most often when the speed is too great at the turn in point for a corner. To regain traction at the front wheels during understeer, straighten the steering wheel, allow for grip to be reestablished at the front tires, then turn into the corner again (if space permits). Note that hard braking or accelerating during understeer is likely to exacerbate the situation. Winter driving is serious business. Getting both vehicle and driver equipped to deal with the challenge is absolutely warranted. If winter tires can help keep you and your family safer on the road this winter season, or if you have any questions on the subject, give our tire experts a call at 866-961-8668.